HSBC is one of the world’s largest banking and financial services organisations with more than 39 million customers through four global businesses. They manage billions of client assets in their diverse range of specialist investment products, but a difficult end of 2018 saw their revenues hit hard amid panicked sell-offs in global financial markets. HSBC hopes to recover from this as early as the first quarter of 2019, but Investor confidence remains low from last year’s market difficulties. As a result, more investors are placing greater emphasis on investing in funds that have been resilient and maintained their consistency when the performance of many of their peers plummeted. In this report, we identify how HSBC funds have performed. We analysed 166 of their funds for performance and sector ranking and found that over half have consistently underperformed when compared to competing funds within the same sector. This report identifies the performance and competitiveness of HSBC funds over the past 1, 3 & 5-year periods. We analysed 166 HSBC funds across 4 different investment universes. 51 unit trust and OEIC funds, 13 Life funds, 30 ETF’s (exchange traded funds) and 72 Offshore funds. 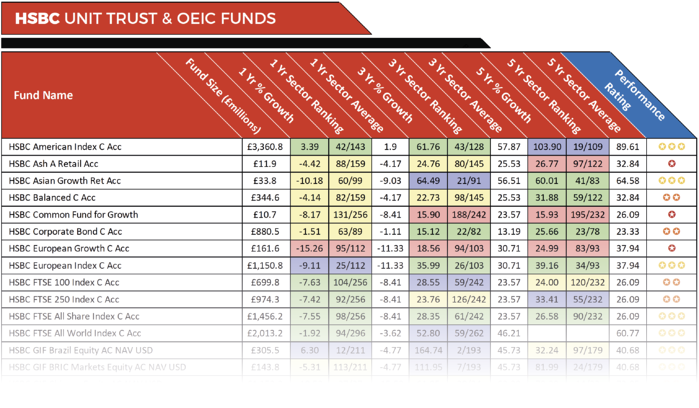 The performance of each fund was analysed against all other same sector funds. Based on each individual funds performance it is then allocated an overall performance rating between 1 and 5-stars depending on where they rank within their sectors over the recent 1, 3 & 5-year periods up to 1st February 2019. 45 of the 51 unit trust & OEIC funds managed by HSBC have sector classification. From these 45 funds, only 2 managed to maintain a level of performance within their sectors that was greater than at least 75% of their peers over the past 1, 3 & 5-years. These 2 funds where the ‘HSBC Global Strategy Balanced Portfolio’ and the ‘HSBC World Selection - Dividend Distribution Portfolio’. The £318 million ‘HSBC Global Strategy Balanced Portfolio’ was launched in October 2011 and its underlying holdings primarily consist of BlackRock iShares and other HSBC fund. With the largest proportion of its assets held predominantly in US equities this fund has consistently outperformed the majority of its peers, and over the past 5-year period it returned cumulative growth of 47.55%, which was well above the 30.84% sector average and better than 91% of same sector funds. The ‘HSBC World Selection - Dividend Distribution Portfolio’ fund was the only other HSBC unit trust fund to consistently maintain a top quartile sector ranking over the periods analysed. This fund sits within the IA Mixed Investment 20-60% Shares sector alongside 120 competing funds with 5 -years performance history, and over the recent 5-year period it returned growth of 32.54%, ranking 14th in its sector. From the range of 13 HSBC life funds, only 1 has maintained a consistent top quartile sector ranking over the periods analysed. This was the ‘HSBC Life Growth’ fund which returned cumulative growth of 43.10% over the past 5 years, which ranked an impressive 15th out of 553 funds in its sector. HSBC has 30 ETFs of which only 12 have sector classification and 5-year performance history. From these 12 funds, none managed to maintain a top quartile performance ranking within their sectors consistently. However, over the past 3-years, the HSBC MSCI Russia Capped NAV GBP fund has been one of the top performers in its sector returning significant growth of 110.57%, which ranked 5th out of 162 funds in its sector. HSBC currently offer 72 offshore funds. 13 of these are relatively new with less than 1 year’s history. 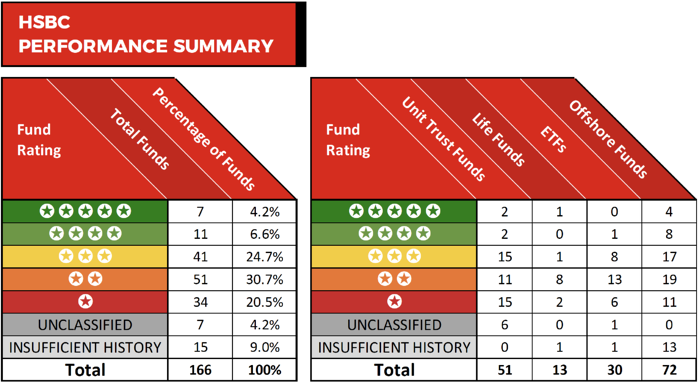 From the remaining 59 funds, 4 received a top performing 5-star rating. Among these top performers was ‘HSBC GIF BRIC Equity M1C USD’ fund. Over the last year this emerging markets fund returned negative growth of -4.31%, which although disappointing was still better than 96% of its competitors as many suffered considerably greater losses. Over the past 5-years, this fund has returned cumulative growth of 86.91%, which was significantly higher than the 47.57% sector average and better than 98% of all other funds within the same sector. Another top performing Offshore fund was the £761 million ‘HSBC Portfolios World Selection 3’ fund. Launched in 2009 this fund returned growth of 0.92%, 35.53%, and 56.01% over the past 1, 3 & 5-years. In contrast, the average growth from its competitors over the same period was -4.16%, 22.83%, and 27.63%. 85 of the 166 HSBC funds analysed for this report consistently performed worse than at least half of their peers, with some of their funds delivering returns that were among the very worst in their sectors. One of the worst HSBC funds for performance was the popular ‘HSBC UK Growth & Income’ fund.  This fund currently manages £857.4 million of client assets, and it sits within the IA UK All Companies sector. Over the past 12 months, the average growth in this sector was 3.93%, yet the ‘HSBC UK Growth & Income’ fund returned large losses of -8.84%. Over the past 5-years, this fund returned cumulative growth of 14.63%, which was well below the 26.09% sector average and worse than 85% of its competitors. Another HSBC fund to underperform in comparison to its sector peers was the ‘HSBC European Growth’ fund. This fund has continually been one of the worst performers in its sector, and over the past 12 months, it returned losses of -15.26%, which was worse than 85% of its peers and well below the 1.7% sector average for the period. Over 5 years it ranked even worse as its returns of 24.99%, which was worse than 89% of competing same sector funds. From their ETF range, the ‘HSBC MSCI Europe’ fund was among the worst performers. This fund has less than 5 years of history, but over the past 1 and 3 years, it has disappointed. Over the past 12 months this fund returned losses of -11.67%, which ranked 93rd out of 103 funds in its sector, and over 3 years it returned growth of 21.85%, which was worse than 94% of its peers. Despite having a diverse and vast range of funds on offer, our review identified that only a small proportion has been able to consistently deliver an above average level of growth - with some of their funds ranking among the worst performers in their sectors. Some HSBC funds have a history of outperforming their peers and have consistently been among the very best in their sectors. Indeed, some 28% of their funds performed within the top quartile of their sectors over the most recent 1-year period.